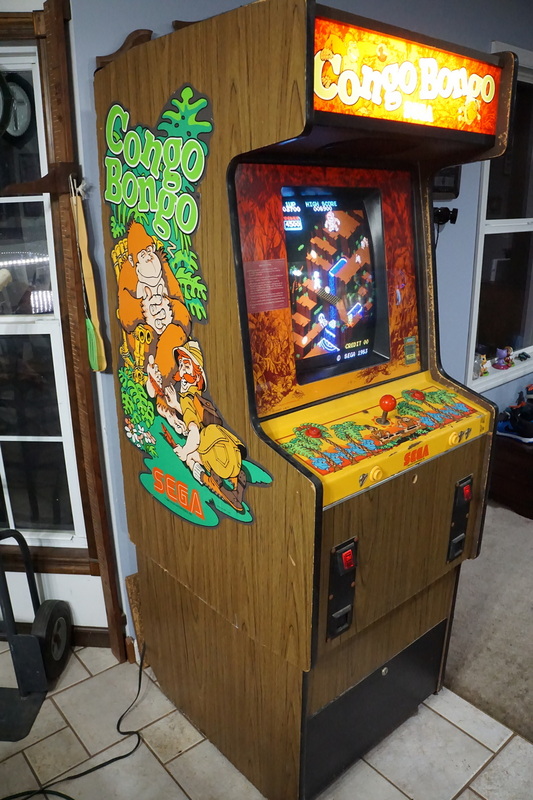 From my previous posting, I had recently picked up and fixed a Congo Bongo arcade, ready to move into the arcade. I decided to post my VS Super Mario Bros up for sale, but an eager buyer talked me into a 3 game sale instead which also included Mario Bros and Spy Hunter. 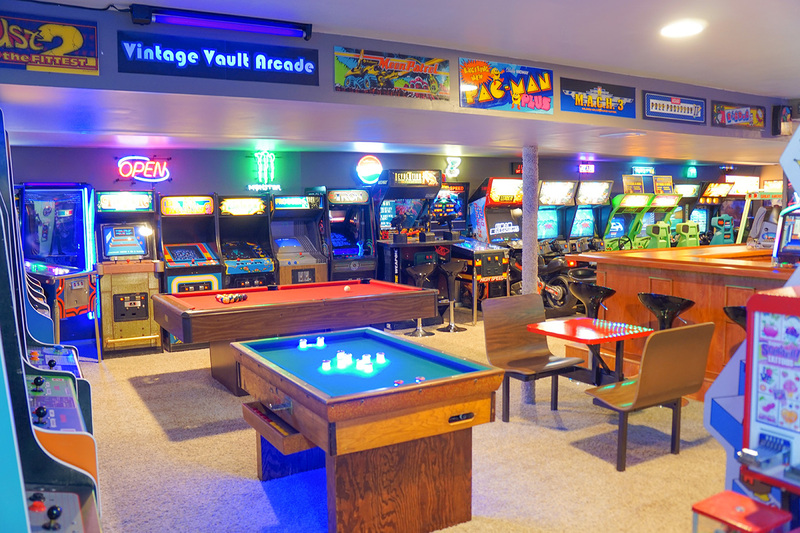 The Vintage Vault Arcade is packed full with arcade games, so for each one that comes in, one has to go out. You may ask me though, but didn't you sell 3 games? Yes, the 3 game sale allowed me to purchase my GRAIL game, which will be a future post. However, I've enjoyed these 3 games pretty much problem free for the last 10 years, that's a lot of gamedays and a lot of fun on these games. Time to move them on down the line. 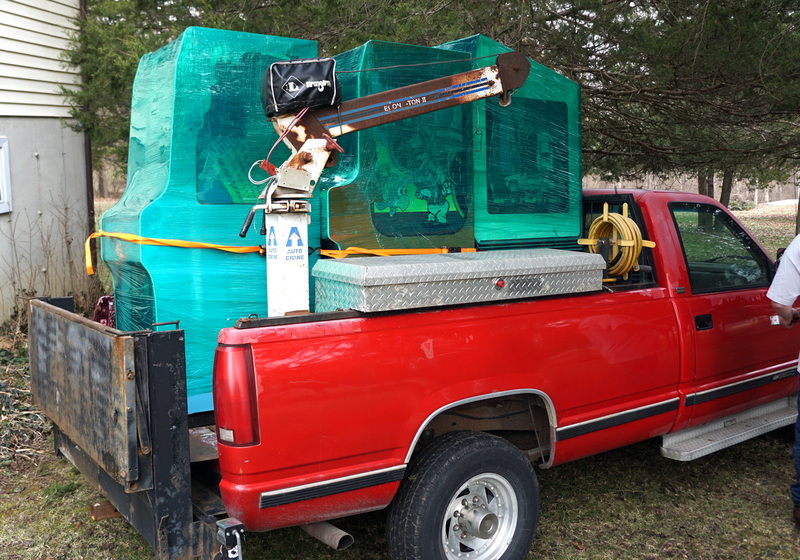 BTW, the truck was so loaded down with arcade games that it couldn't make it up the hill with the soft ground from recent rains. 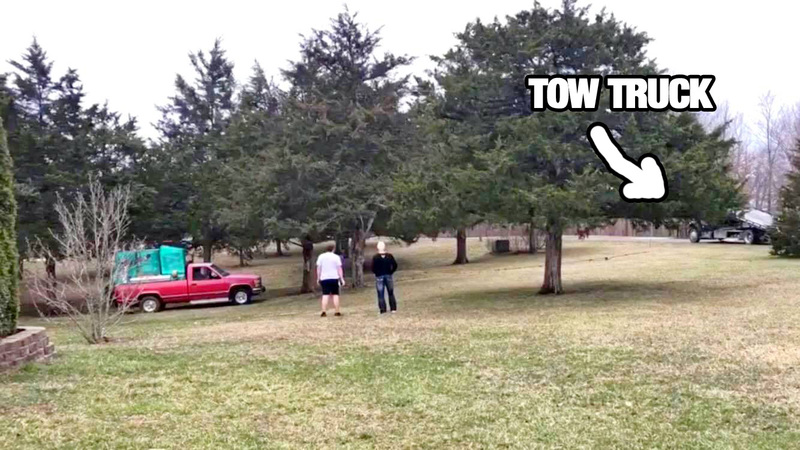 The result, it had to be towed out with 150ft of tow chain. No pain, no gain. Stay tuned about my GRAIL! 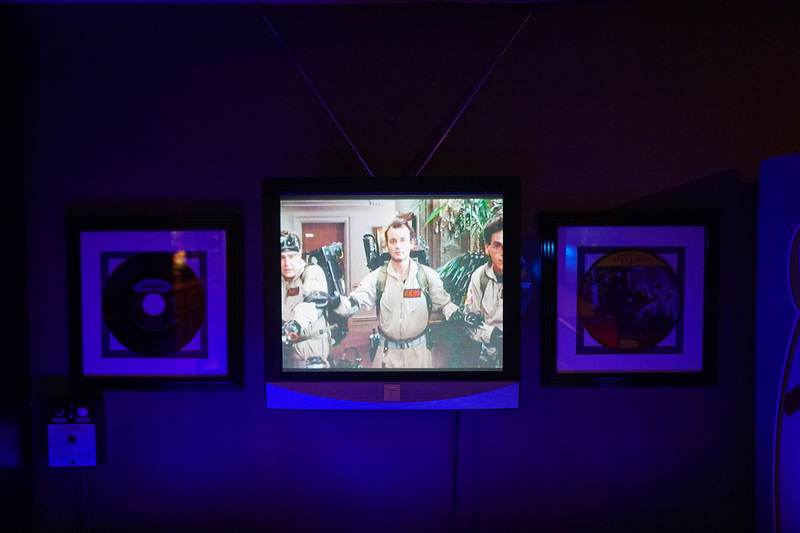 Hint...it may be a laserdisc game! 3/12/19 - New Game: Going Ape Over Congo Bongo! Wait, isn't the game with ape called Donkey Kong? Well, yes, Nintendo did create the smash hit Donkey Kong. 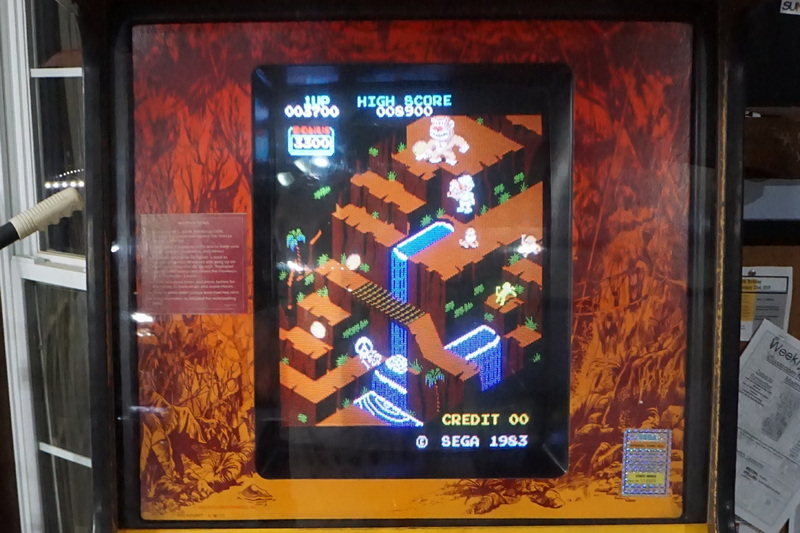 However, Sega released its own "ape" game to directly compete with Donkey Kong, and that was Congo Bongo. It didn't garner the same success, but it stands alone as a winner in its own right. The game is played in isometric perspective, 3D if you will similar to Sega's other game, Zaxxon. Not only that, but Congo Bongo was ported to nearly every major home computer system and console system BITD. Now hold on a second, isn't this just another Donkey Kong ripoff? Well, yes and no, in that the same programming company that made Donkey Kong, surprise, surprise, made Congo Bongo. It appears in the early 80s, Ikegami developed a number of arcade games as a subcontractor to Japanese video game companies. Among the games they developed are Computer Othello, Block Fever, Congo Bongo, Popeye, Donkey Kong, Radar Scope, Sheriff, Space Fever, Space Firebird, Space Demon, Heli Fire, Sky Skipper, Space Launcher and Zaxxon. So this developer, who helped code Donkey Kong for Nintendo, then reused some of the same code and developed another concept for Sega, called Congo Bongo but utilizing the same 3d viewscape idea they had with Zaxxon. Now onto the game. I get a message from my buddy Kurt for a non-working Congo Bongo on Craigslist. It was midnight, I didn't think anything of it, but I sent the guy a message saying I wanted to buy it, then I just went to sleep. The next day he messaged me saying he had a whole lot of interest in the game, but since I was the first responder, I could have it. Next thing you know, I'm picking up this game. It was locked up, dirty, dusty and no keys. I get it home and drilled out the locks. Uggggg. This thing was in bad shape. Power supply blown, monitor and speaker unplugged (who knows why), marquee light missing, rear fan missing, and just a bad kind of dirty. Over the course of a week I get it cleaned up and to my surprise, it had a whole lot of shine under that dirt. I wire up new lights and bulbs, and then go in for the test. 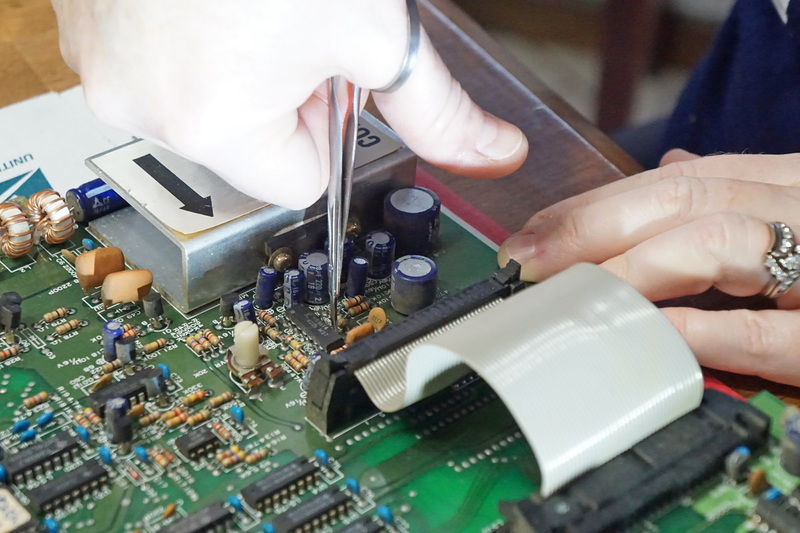 I wire in a switching power supply to see if the game board and monitor had any life. I turned the power switch on, waiting for something to blow up, and this game fired up to life. Not only that, the monitor was in brilliant, crisp, clear shape with beautiful color. This was almost there, but after i hooked up the speaker the sound was blown out loud. You could barely hear music, but with awful bass scratch noise. After much research, I determined I would try and replace the LM324 onboard audio amp IC chip. It was soldered in there and I couldn't get it out. 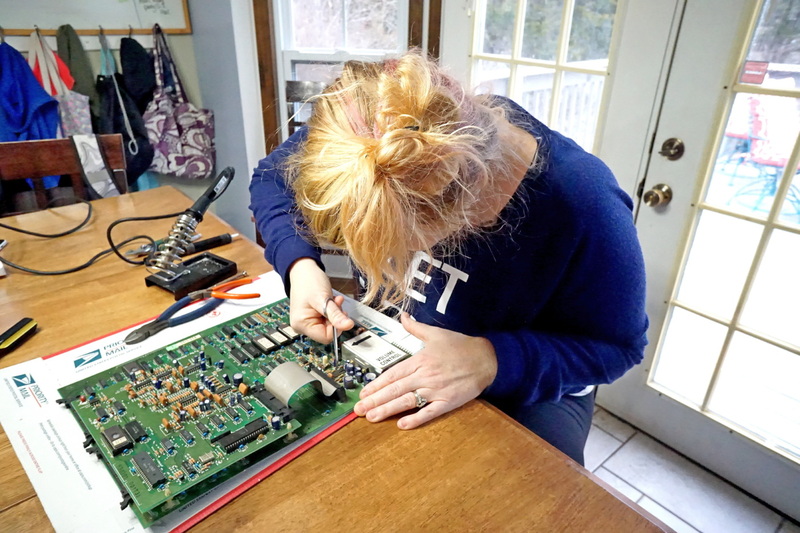 I enlisted my beautiful wife to help cut the old chip out, then I could easily unsolder each left-over legend until it was cleared out. Finally I put in an empty socket for easy chip swapping, and drop in a new LM324. Again I fired up the game, PERFECT SOUND! SUCCESS! Final touches were new lock sets and I replaced all the T-molding. This game is FUN, I mean really fun. Get Congo Bongo you're moving into the the basement arcade! 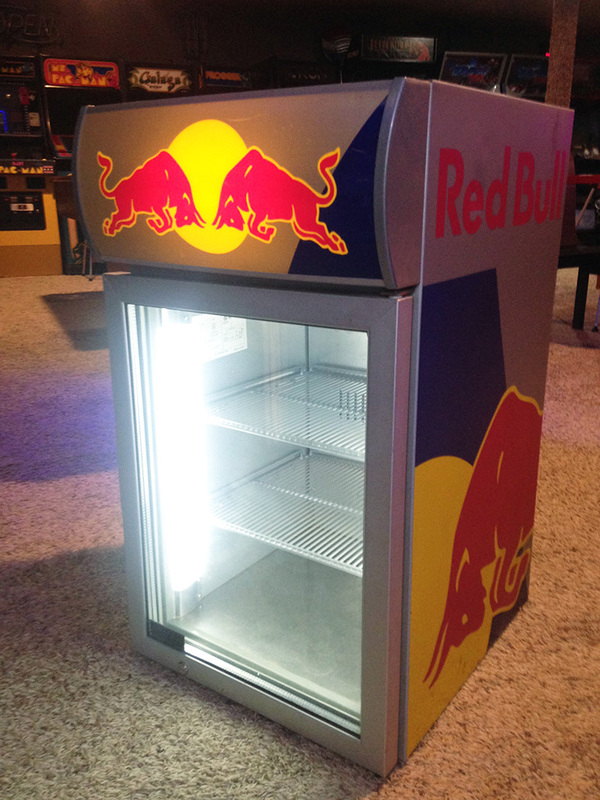 Now I thought my Red Bull mini fridge was cool (see below). Today, I stopped at an upscale grocery store after a basketball tournament today for my son Isaac. 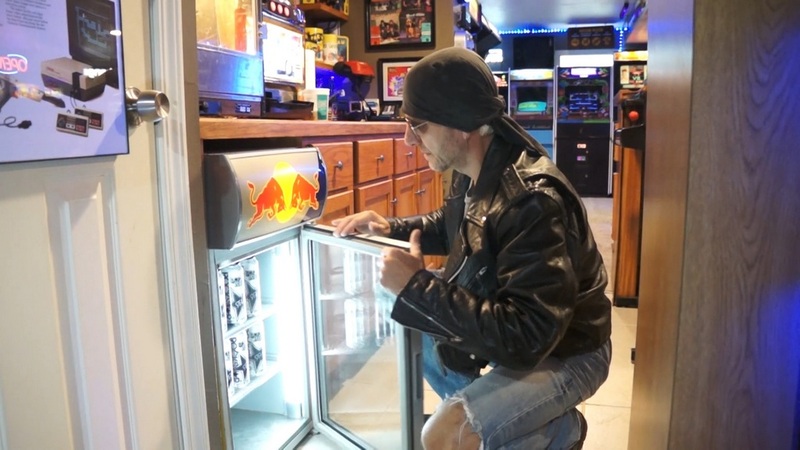 I happened across this full size Red Bull fridge (see Youtube video below). This transparent LCD Red Bull cooler has given me new arcade goals. Excellent! currently being filmed. Is this the end of the line for Rock Dad? 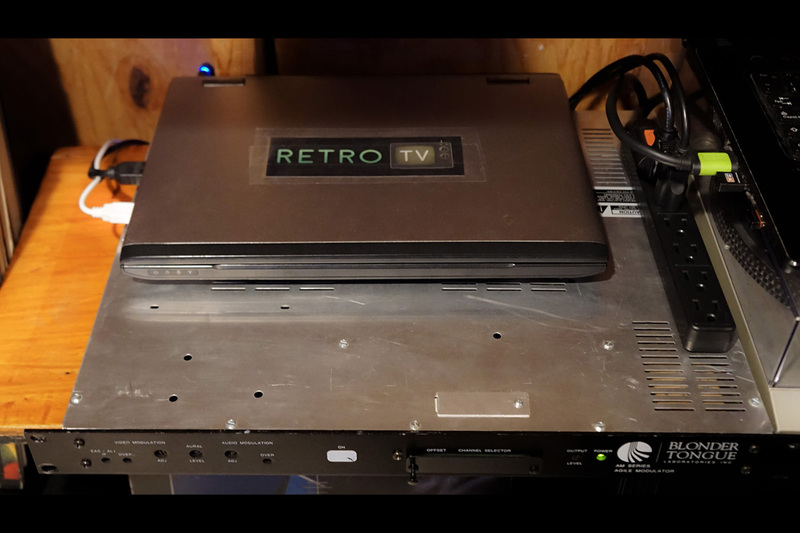 Nostalgia overload---For years I've had this idea of a project for the arcade, called Retro TV. I've collected over 600 commercials from the 80s, TV show intros, movie trailers and Cartoon intros from BITD. First part of this process was the player. I set up a video jukebox player on a laptop which auto starts on power up. The player is directly fed all the video files in non-stop randomized order . Next I picked up a Blonder Tongue AM60-550A Agile Modulator, this is basically a mini TV analog broadcast station. 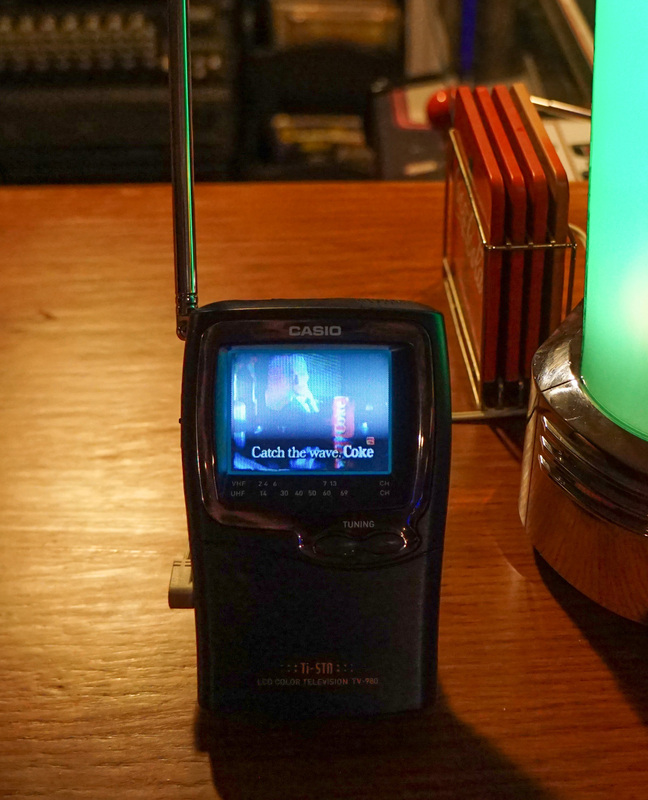 Analog broadcasting format was discontinued in 2009 in favor of digital broadcasts, so this is a true retro format. These were made for broadcasting to in-house station channels in a school or university using coaxial cable. However, they have the remarkable ability to broadcast a short distance through the air waves using a dipole antenna. I created and soldered together a proper length dipole antenna (2 metal rods parallel to each other) for the broadcast signal and plugged that into the agile modulator. If you're curious, the equation to create your dipole antenna length is this: 468 divided by channel frequency (MHz) divided by two multiplied by 12. 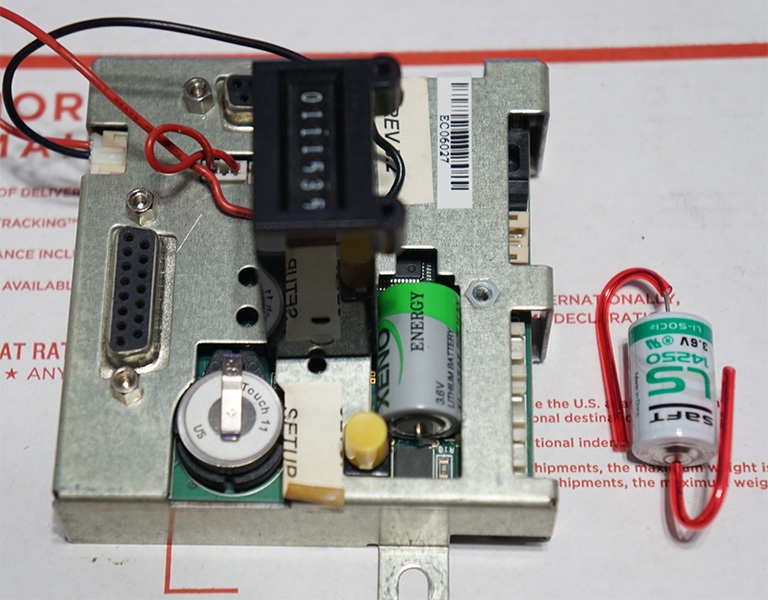 After that you set your VHF or UHF channel using a set of dip switches on the modulator. This determines the broadcast frequency. In the end I set my broadcast to UHF 33 (channel 33) [585.25MHz]. 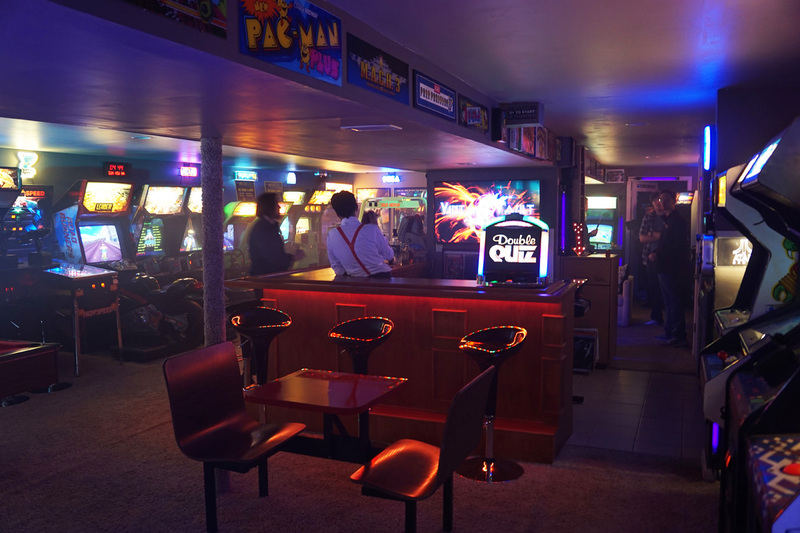 It had the least amount of interference from all the RF noise from LED lighting, arcade machines and wireless microphones in the arcade. 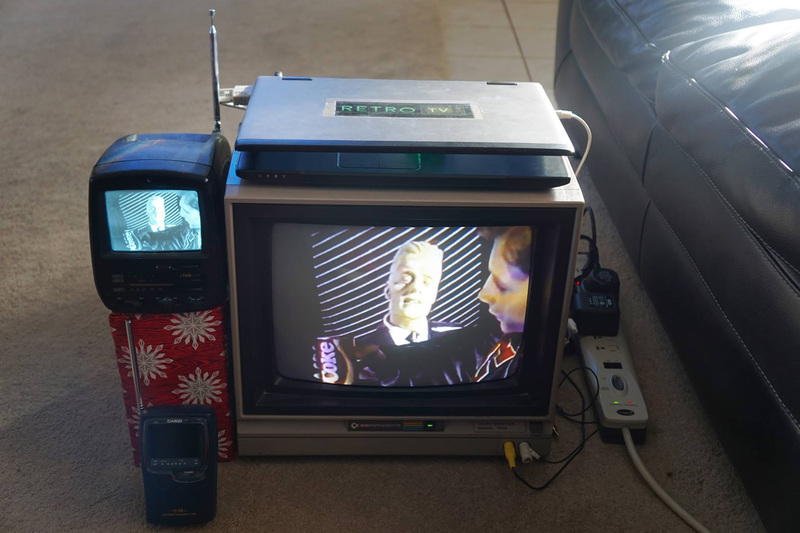 Final step was to set up a few TV's with rabbit ears (to pull the signal out of the air), tune them to channel 33 and then turn on the Retro TV player. The final product is absolutely amazing. I've even started to archive a few 80's movies to play on the Retro TV (Back to the Future trilogy, Ghostbusters 1&2, Star Wars original trilogy and Ferris Bueller's Day off). I can't believe how many of these shows and commercials I remember the tunes to, when TV was REALLY GOOD. 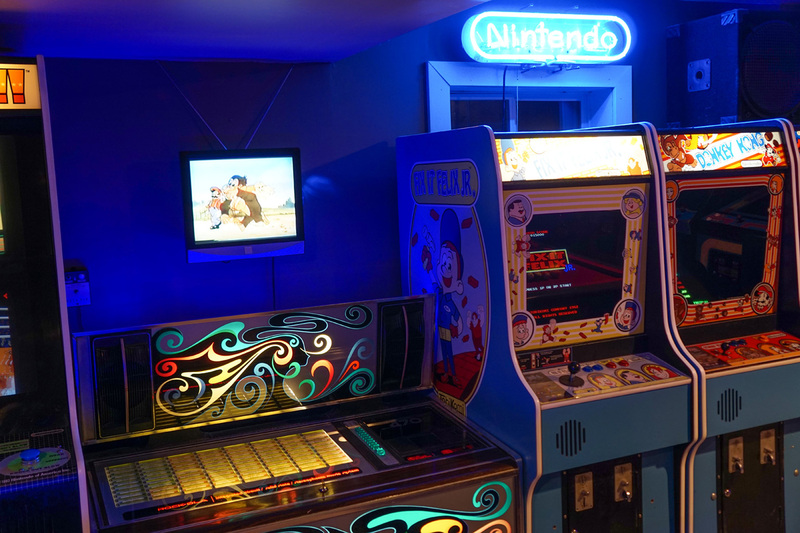 This is a brilliant addition to the Vintage Vault Arcade and is nostalgia at its finest. 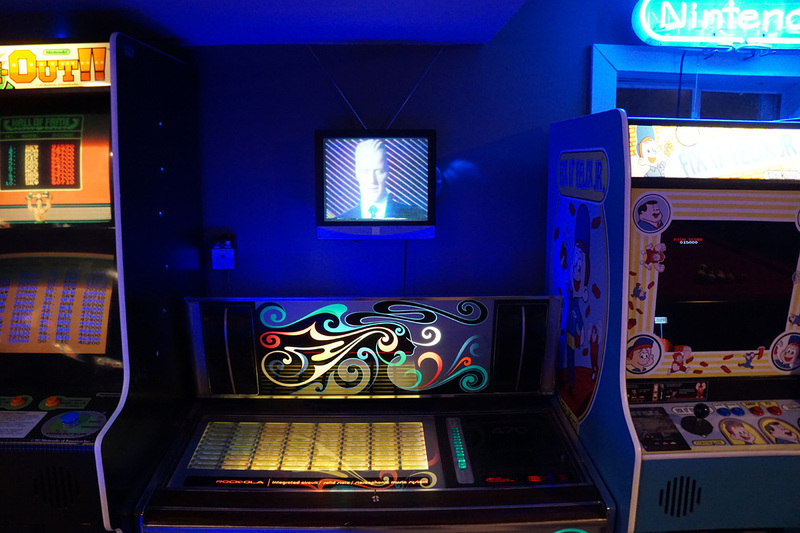 How many have heard of Tapper, the arcade game? How fun is it to sling some brews with a tapper handle? 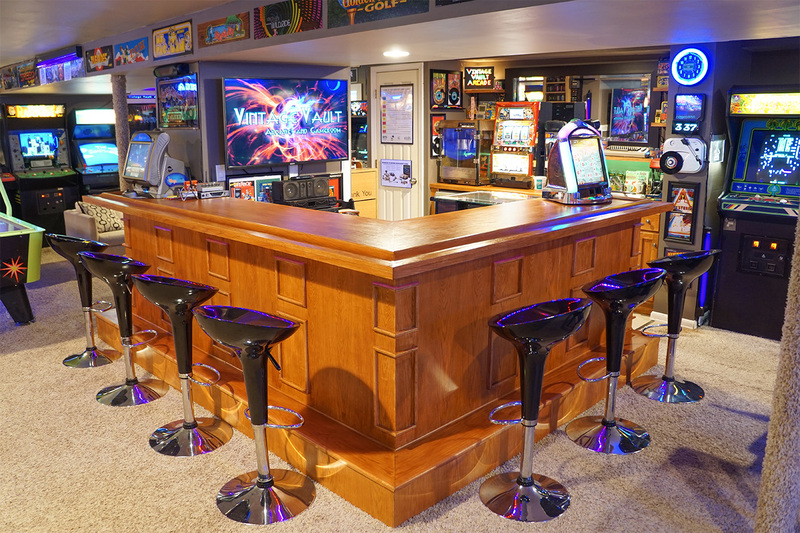 For those of us who do not have working beer taps in our home arcade, man cave or gameroom, there is a new product out there that will ad that extra wow factor and give you the full "tapper" experience. The product is called Lights On Tap. 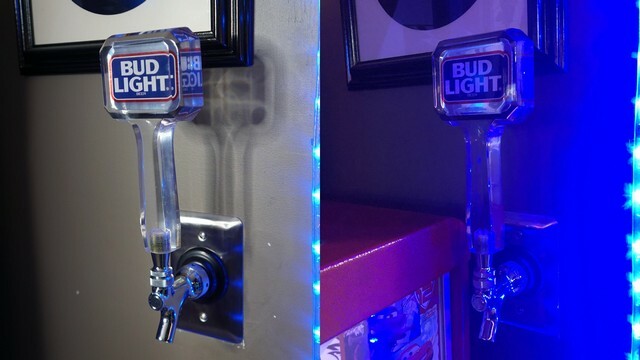 It's a beer tapper that you can swap out with your existing light switch. That's right, you can control your lighting with the push or pull of a beer tap handle. The best part about the product? You can change out the beer tapper handles anytime you want to fully customize your look. To pick up your own lights on tap, head on over to https://lightsontap.com/. For a video review of the product, check out the Youtube video below. 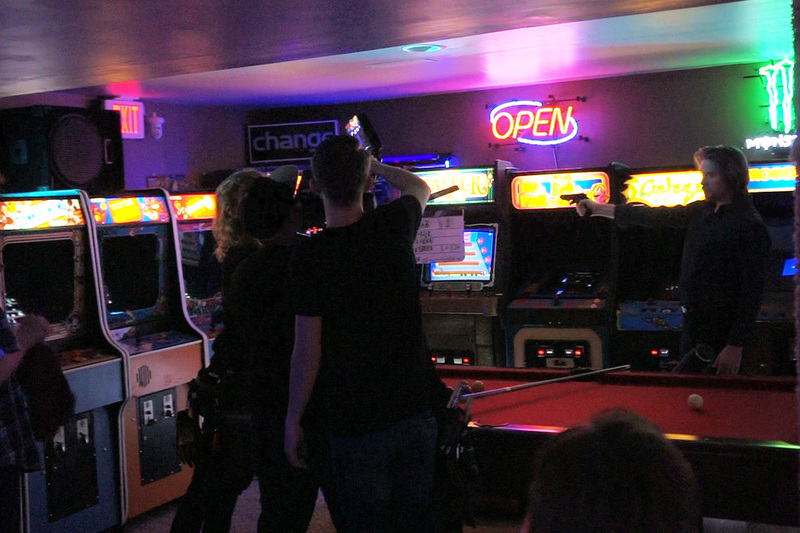 A 10 person film crew from Webster University came out to the Vintage Vault Arcade for a 9 hour film shoot. 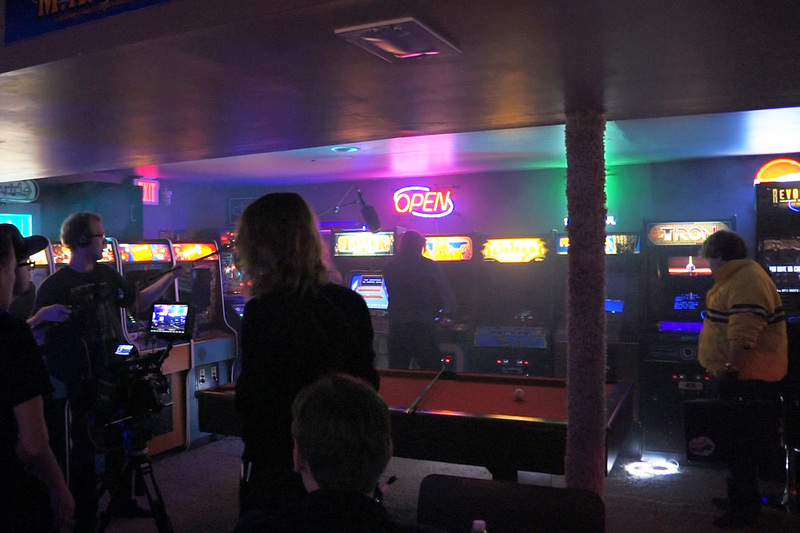 The shoot was for a mobster film which ends with a courier getting blown away in front of the Ms. Pac-man arcade game. Definitely an experience. It was fun to watch them do their magic, and a blast to have everyone out. Just click on a thumbnail below to view the pictures. Enjoy the photos! 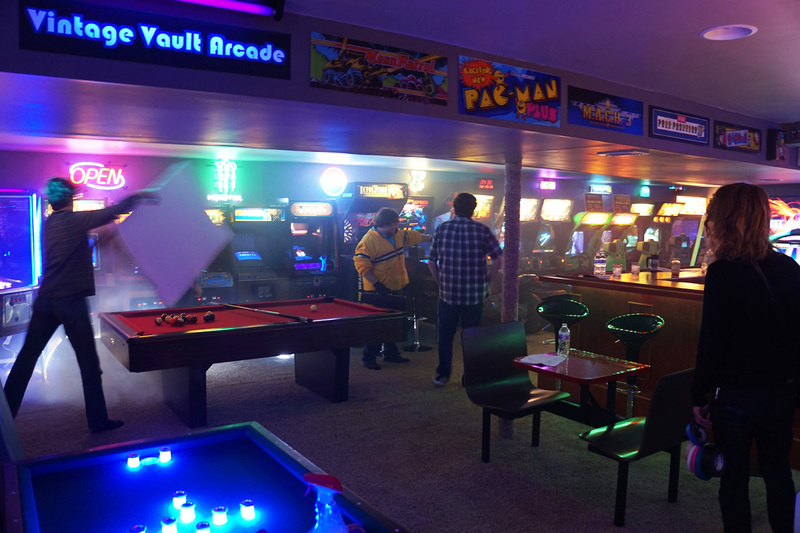 11/05/18 - New Photoset Of The Vintage Vault Arcade! 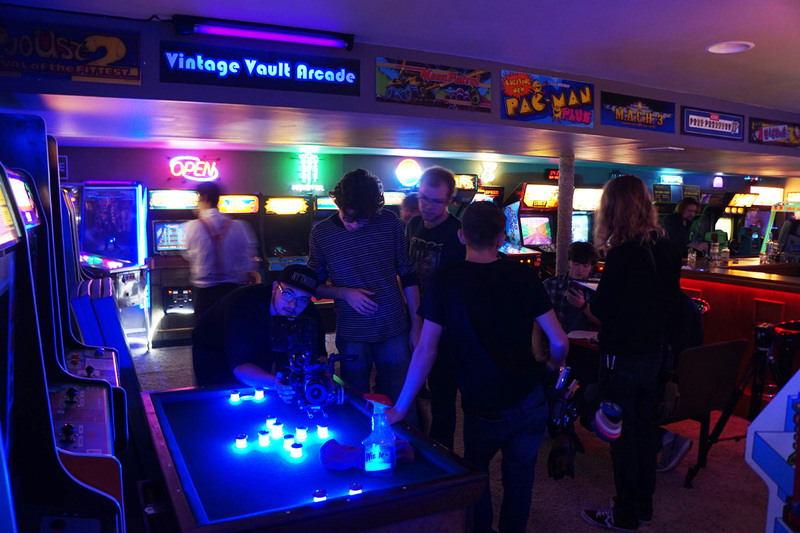 All new photoset taken of the vintage vault arcade. To check out all 24 photos click here or click on the "My Arcade" menu link above. 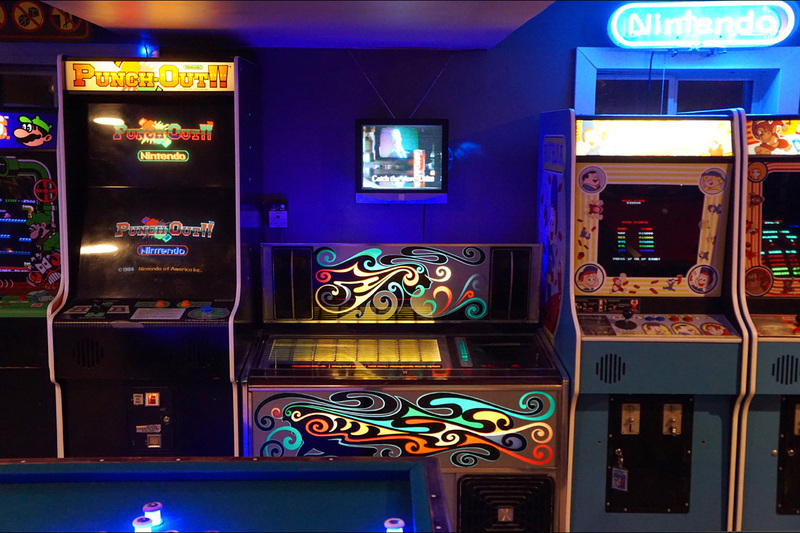 Last year I upgraded one of my bar touchscreen games to a JVL Retro. 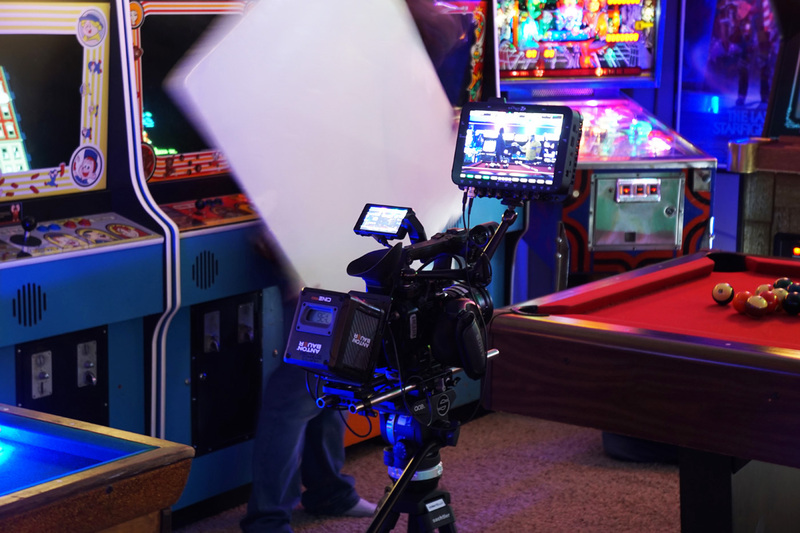 Besides being an absolutely beautiful touchscreen bartop model, there's over 100 awesome games to play, all different kinds that the Megatouch series does not have. Two favorites are What A Mess and Under Water Mess which is very similar to a Where's Waldo in that you have to find 5 specific objects on a crowded screen within a certain time limit. Over the last 3 months, on startup this unit kept getting an "Interface Board battery is low" message. I could touch the screen to continue each time, but the writing was on the wall that this battery was failing. 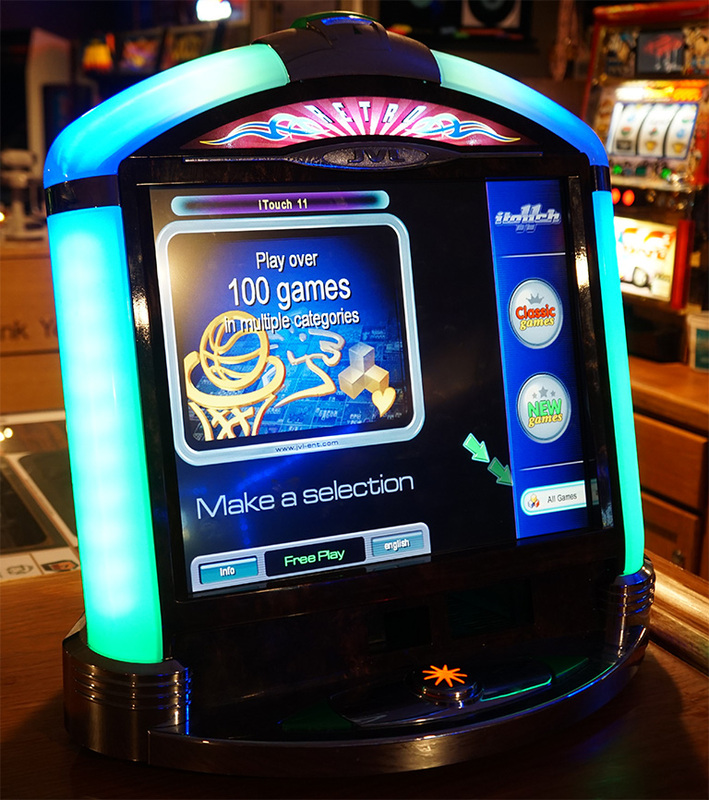 This holds all the operator settings (including freeplay) as well as the high scores. 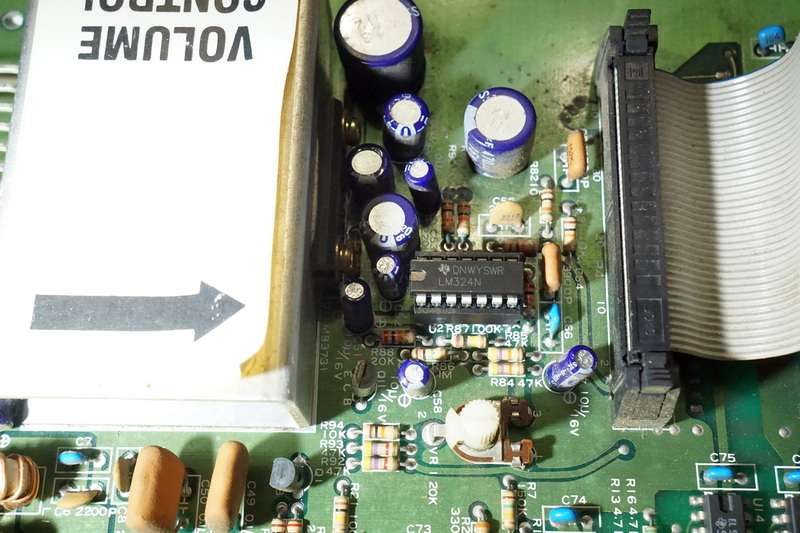 Unfortunately this is not an easy task as the battery is soldered onto the interface board (seriously, why?) and requires a very specific rechargable volt and amp rating. I finally got one ordered and got the new battery soldered in. The new battery caused the board to need a factory reset but after that all is well. Hopefully get another 8 years service out of it before needing another battery. If you are in the market for a touchscreen game, I do recommend these attractive, very hard to find units. Besides being fun and visually appealing, all game software is on a flash drive as opposed to Megatouch unit which uses a hard drive. Flash means it boots faster, and is less prone to failure. 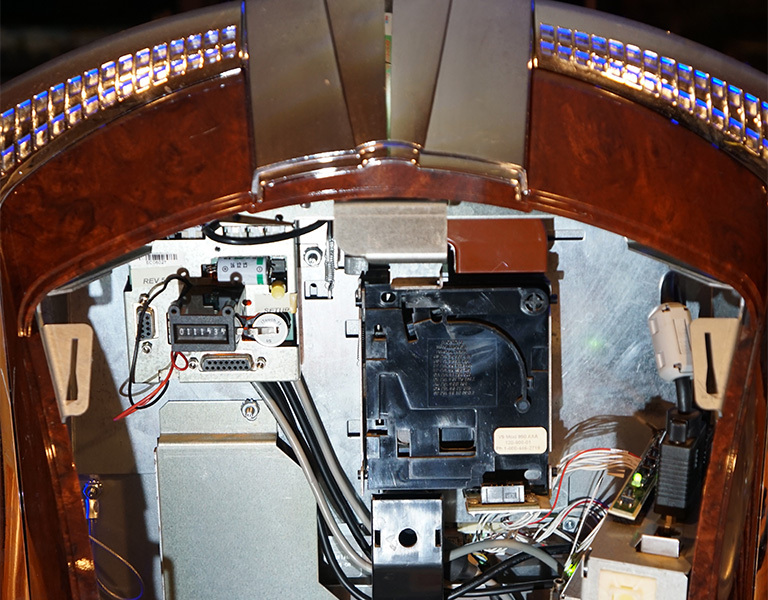 A spinning hard disk drive CAN and WILL fail with time requiring replacement. 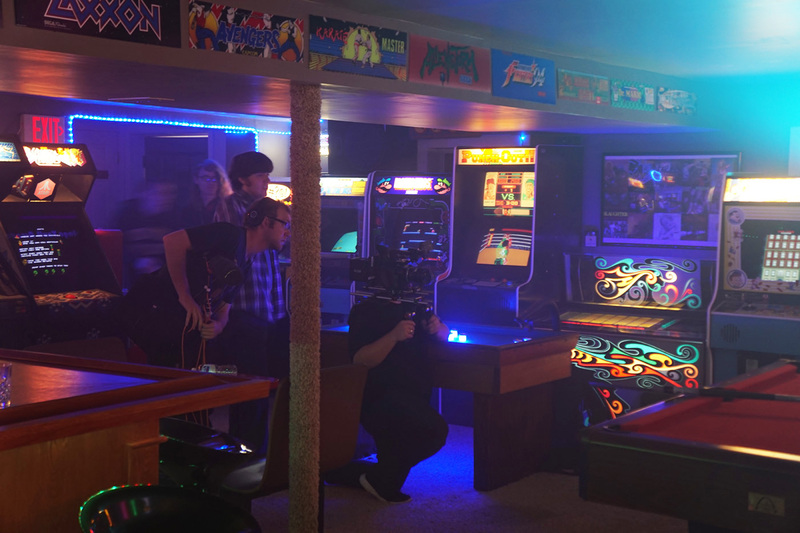 10/14/18 - New Vintage Vault Arcade Tour 2018! 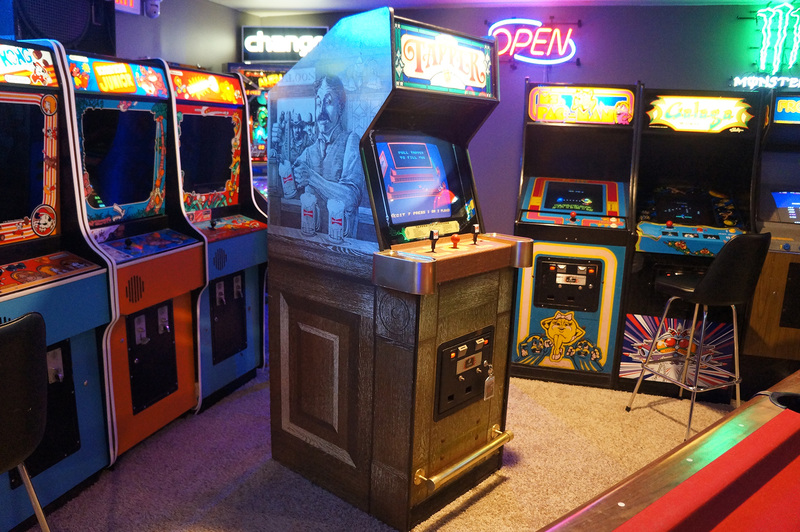 Brand new walkthru tour of the Vintage Vault Arcade! 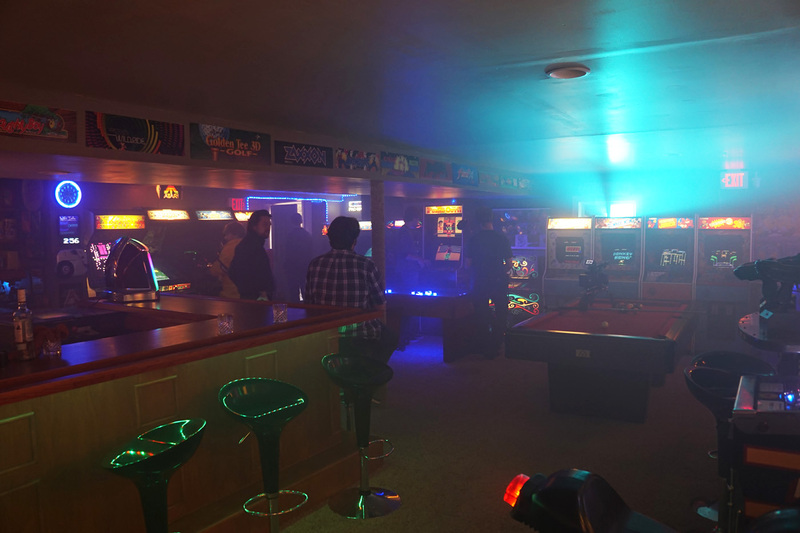 Includes a daytime and nighttime walkthru, which I like to call the Arcade After Dark. If you want to go straight to lights out then forward to 4:13 in the timeline. Enjoy! 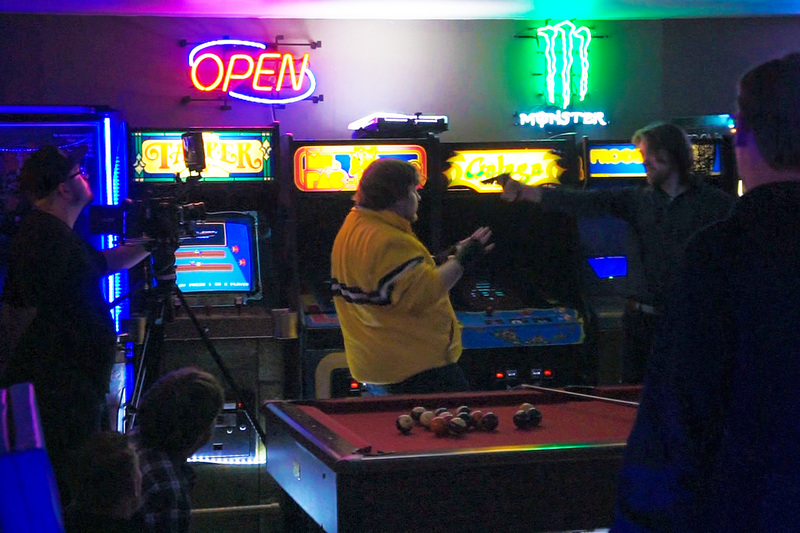 Take an amusing look at the personal lives of some of our favorite classic arcade characters. Bowser seems to be having a few Mario problems at the castle. What's Donkey Kong "DK" so down about?